Umbrella Insurance is extra liability insurance that goes above and beyond the limits of the insured’s property, vehicle, business, or watercraft insurance. It can protect you against some lawsuits not covered by your other insurance policies. One example would be if you were sued over an accident involving a boat that you rented while vacationing in Europe. It also provides coverage for some claims that may be excluded by other liability policies including, but not limited to: false arrest, libel, slander, and liability coverage on any rental units that you may own. The more that your assets increase or the more income that you accrue, the more likely it is that you would benefit from an umbrella insurance policy. If you are concerned about losing assets or income or being involved in a lawsuit, call or email Alliances Insurance Agency, LLC today and we can help you find the right coverage for your needs. There are many money saving discounts that are available if you are already have other insurance policies with Alliances Insurance Agency, LLC. The cost of an umbrella policy depends on how much underlying insurance you have and the kind of risk you represent. The greater the underlying liability coverage, the less expensive the policy will be since you would be less likely to need the additional insurance. 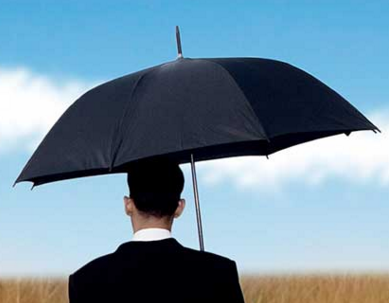 An umbrella policy is the absolute best buy in the insurance business. It can cost as little as $150 to $200 for the first $1 million of coverage, then about $100 for each additional $1 million. Since your other insurance policies would pay first, Personal Umbrella Liability insurance is relatively inexpensive in view of the degree to which it protects your lifestyle. The premium is based on the limits selected, your number of autos, residences, boats, etc. and the area where you live.